Recently, there have been three high-profile suicide deaths of individuals who have lived through or lost a loved one due to a mass school shooting. Our hearts are broken once again for the communities of Parkland, FL and Sandy Hook, CT as these current tragedies bring renewed pain to wounds that have yet to heal. While early intervention and professional support are crucial in the immediate aftermath, these events serve to remind us all that the effects of trauma continue long after the cameras have left town; sustained focus, increased awareness and availability of trained resources must continue. Ultimately, each one of us is on the “frontline” of suicide awareness/prevention and it falls to each of us to support each other. We here at R3c would like to share key evidenced based recommendations and resources that have proven effective in suicide prevention and intervention, including the Columbia Protocol for inquiring about suicidality, and Five Action Steps anyone can take as recommended by The National Suicide Prevention Lifeline. As members of the National Action Alliance for Suicide Prevention (https://theactionalliance.org), R3c is committed to reducing stigma and promoting a comprehensive and long-term approach to suicide prevention. Ask: There is a common misconception that asking someone if they have or if they are considering killing themselves puts the idea in their head — it does not. Do not be afraid to ask! 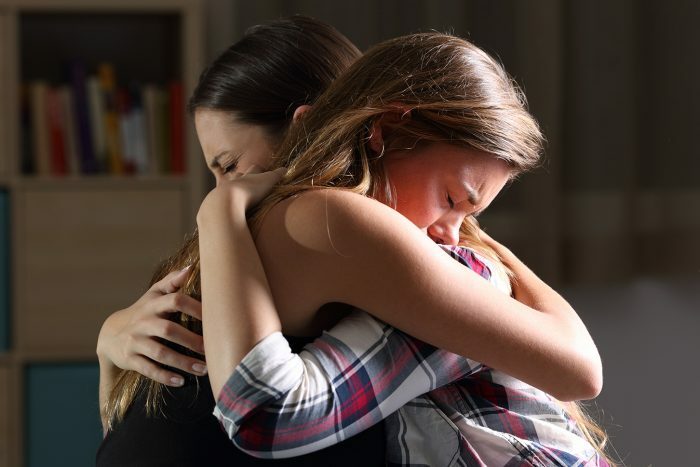 Keep them safe: If someone admits to considering suicide, it is important to seek immediate medical attention, especially if they shared their plan with you or have access to firearms. Be there: Listen without judgment and with empathy. Let them know they have a shoulder to lean on when they need. Help them connect: Help them find a support system to reach out to. Support is very important for someone battling the idea of suicide. Those who have attempted to harm themselves are often at risk of another attempt at suicide. Follow up: Following up could mean preventing thoughts of suicide or another attempt.